Happy Valentine’s Day, y’all! Thank you for being, as the saying goes. 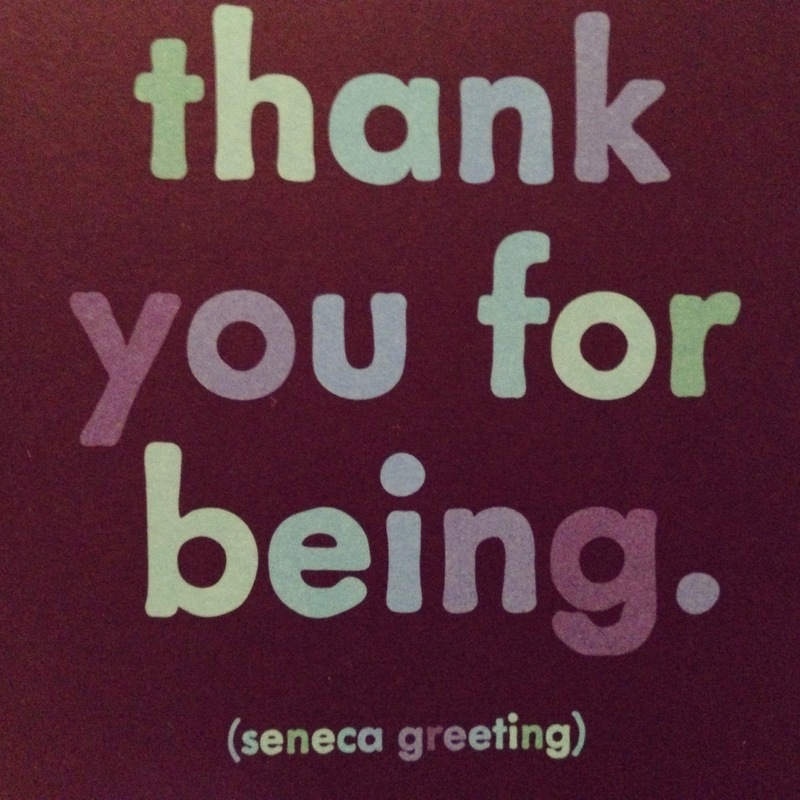 My addendum to that is, thank you for being (human with me). We have all had some experiences with people where we feel we have been treated unfairly, irrationally, inhumanely, or as less than human. How do we cope with those experiences without the need for reciprocal negativity, revenge, etc.? How do we manifest love for someone who has hurt us? How do we keep one of the Four Agreements: “Do not take anything personally” when we feel so personally attacked? By remembering the other person’s human-ness, and the fact that he or she is being human too, whatever has driven them to act this way. By remembering “Mitakuye Oyasin”– Lakota for “all my relations“- we are all related in our human-ness, no matter where we land on the spectrum of evolved consciousness. If you are attempting to love yourself and your fellow human beings more, if you are working through the letting go of a hurtful experience like this, you might create an impromptu ritual, or read, Radical Forgiveness, a book I’ve mentioned before. If you want to follow examples of extreme acts of love, read the manifesto on parenting extraordinary children, Far from the Tree. But if you are looking for an unlikely love story, check out “The Lone Ranger”. Almost a year after it’s release, I finally got to watch “The Lone Ranger” with Johnnie Depp, directed by Gore Verbinski. In this version of the story, during his childhood, it is told, Tonto makes a “bad trade”: accepting a shiny silver watch in exchange for telling some white men where silver lies in the river nearby. Of course, that leads to the decimation of his people and their environment, and Tonto is cast out of the tribe. Tonto selects the crow as his spirit helper– of course, the crow is drawn to shiny things. He wears it, almost comically, on his head, contrary-wise, heyoka-style. He feeds it when he needs divine intervention. While there are many disturbing scenes in this film, the most disturbing to me was the one in which The Lone Ranger (TLR), exasperated with his own lack of understanding about the way Tonto sees the world and makes decisions, derides him for having sold his people for a watch. This scene is difficult to witness for several reasons. One is that it is difficult to watch one human faulting another for his “mistake”, especially a mistake made in childhood, and especially when the faulted one has been a faithful scout and helper to the other (Ojibwe meaning for “kemosabe” = faithful scout). The other difficulty here that it is hard to accept that Tonto does not react emotionally (at least not visibly or verbally) to TLR’s taunting. Initially that was upsetting to me because it seemed symptomatic of the stereotype of a stoic, cigar store Indian. How could Tonto not respond to TLR’s piercing reminder of that fateful decision? To not respond seems not-human. Perhaps though, that is applying the same problematic “logical” thinking to the situation. Perhaps Tonto is unphased because he has long ago accepted that what he chose to do in that fateful moment was not fully his own choice, but rather part of a divine plan for his spiritual journey, and that of the others with whom his life is interwoven with along the way. It is not as if every day of his life since, he has not attempted to undo what had been done. Maybe Tonto is able to see things two ways simultaneously: that the same creature who tricked him in the first place, could serve as his spirit guide and protector for the rest of the journey. Maybe he realizes that something one person views as a mistake, another views as an opportunity for growth. And maybe he knows that it’s not worth the energy getting upset or trying to explain things to TLR, he won’t get it anyway. Holding two perceptions simultaneously allows Tonto to be angry at TLR’s output and also love him anyway. Even though Tonto calls TLR “the wrong brother”, he knows that things are the way they are supposed to be- the two are an unlikely match, but for exactly that reason they have things to learn from each other. It may be a long shot to change our perspectives, and love the ones who hurt us (while creating healthy distances when necessary) but hey, so is jumping from one moving train to another. We do what we have to do to keep going. We have to love ourselves and each other to keep growing. We are all just being (human) together.